Wyeast 1318 London Ale III Yeast - Texas Brewing Inc.
A fruity, very light, softly balanced palate with a slightly sweet finish. 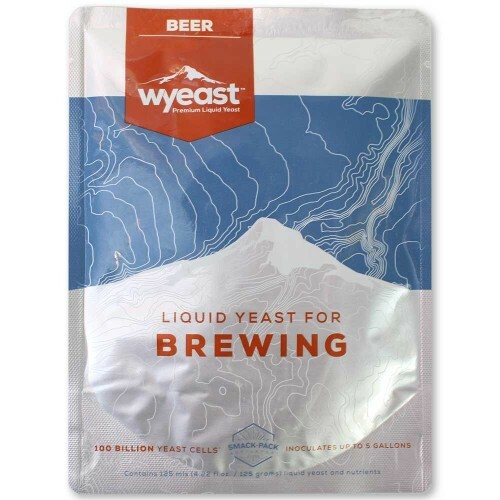 Wyeast 1318 London Ale III yeast creates beers with a wonderful malt and hop profile. This ale strain has a fruity, very light and softly balanced palate that finishes slightly sweet. Recommended Styles include Ordinary/Best/Strong Bitters, English IPA, London Brown Ale, Dark Mild, Sweet & Oatmeal Stouts, Old Ale, English Barleywine, American Amber Ale, and Scottish Light/Heavy/Export.